DELICIOUS SCRAPS MADE THIS AD FOR US. I WILL BE POSTING IT ON BOTH OF MY BLOGS. Thanks LauraLee...got it on the blog. I hope it is linked correctly. I've put it on my blog too thanks for making such a beautiful ad. Hi all, I'm new here. I grabbed on to place on my poser site as I don't have a blog. Hope that's ok. I don't have a Blog but I did put it in my forum at Aimoo.. I joined ur forum a few min ago! 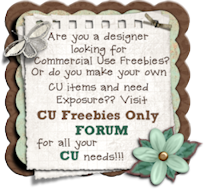 For putting on your blog the more we share the link the more members to share with us!!! This is a nice blog. Good clean UI and nice informative blog. I will be coming back soon, Thanks for posting some great ideas and I'll try to return back with a completely different browser to check things out! Also, I put a link to your blog at my site, hope you don't mind?